Last week the team at iFixit undertook a teardown of the brand new Samsung Galaxy S9 Plus to examine and evaluate the device’s repairability. Now analysts TechInsights have done the same thing, but with a focus on components and costs. 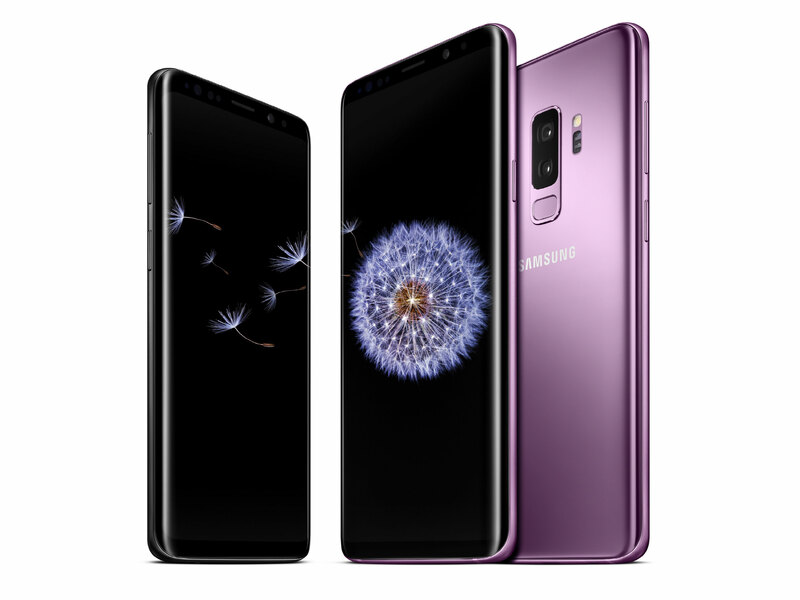 When taking the device apart the team found Samsung’s Fast 2L3 third-generation 12MP, 1.4 µm pixel-pitch Dual Pixel ISOCELL sensor in the main camera and a 12MP, 1.0 µm pixel-pitch Samsung S5K3M3SM in the tele-camera, the same as in the Galaxy Note 8 dual-camera module. 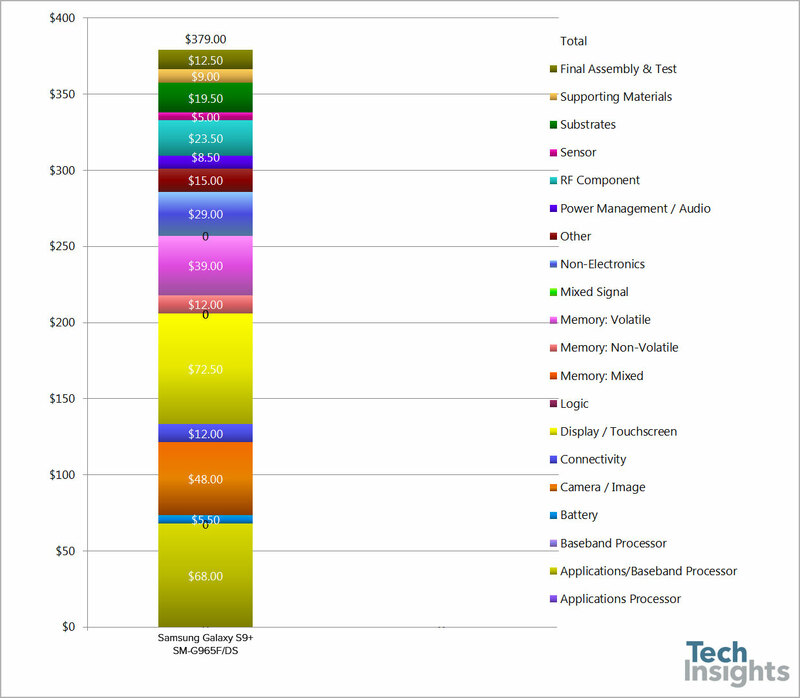 TechInsights also provides cost estimates for all components and at $48 the Samsung’s camera setup is the third largest cost block on the device. Only the display at $72.50 and the main chipset at $68 have a higher impact on the overall figure. Final assembly and testing is estimated as $12.50, and the overall manufacturing cost of the device is $379. Given in the US the S9 Plus currently retails at $840 unlocked, this should leave a decent margin for covering overheads and, crucially, making a profit. For more technical details and up-close images of most components have a look at the full report on TechInsights.